Our topic this half-term is: Amazing Animals! This half term the children will become animal experts. They will have the opportunity to learn about a range of creatures through a variety of texts including ‘Dear Zoo’, ‘Rumble in the Jungle’, ‘Oi, Frog’, ‘Dora’s Eggs’ and ‘The Very Hungry Caterpillar’ as well as some non fiction books and videos about pets. We will be having some creatures visit us too, including a snake, some chicks and a pet dog. We will be going on another local trip, this time to Wanstead Park, to walk the dog together and learn about how to look after pets as well as why it is important to do that. The children will be able to put their new knowledge of animal care into practise in a vet role play area, where they will be encouraged to play collaboratively and ‘write’ appointment cards and prescriptions for customers. We are hoping to find some frog spawn in our school pond so we can observe it over time to see what happens. We will be providing lots of animal inspired creative activities for the children to explore such as mask making, pattern printing and butterfly painting. This term your child will be supported by an adult to develop their early writing skills such as drawing using gross motor movements, giving meaning to the marks they make, using an effective pencil grip and having a go at writing their name. Your child will have their own ‘mark making’ book from January which you will have the opportunity to look through at our ‘Stay, Play and Learn’ session in March. Every week your child will have the opportunity to practise these skills, through outdoor play, ‘Sticky Kids’ music and movement sessions, 'dough disco' and snack time, among other activities. Please spend 5 to 10 minutes each day with your child looking at his/her nursery library book together. The length of time will vary according to how long your child concentrates for. Ask your child questions such as “What can you tell me about the picture?” and give them time to reply to get them talking. You might look at all the pictures in the story in that time or you might just look at one of the pictures. Read to your child. 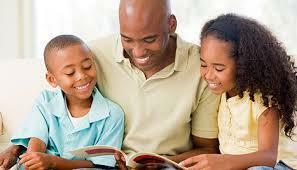 Encourage him/her to join in with some of the phrases he/she can remember when you tell the story again the next time. Talking about the pictures in books helps us to tell a story. 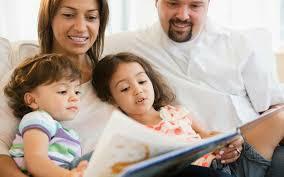 Encouraging your child to say what he/she thinks about the pictures in books is an important part of learning to read. Can your child spot any sounds from their name?